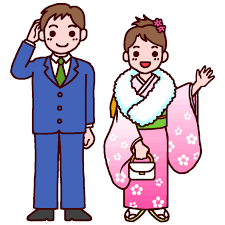 ★ The second Monday in January is Coming-of-Age Day or Adult's Day, one of the national holidays, when Japanese people celebrate the coming of age of all the youths who have reached the age of twenty in course of the year preceding it. 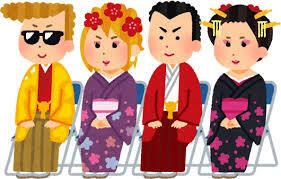 ★ Ceremonies are held in every city, town and village. ★ Many women who have reached twenty years old attend in gorgeous Kimono called furisode specially prepared for this occasion.